Apple this week was granted a patent for the design of SIM card connectors found in most mobile devices, a critical step for the company not only in terms of its future mobile hardware initiative but also its capacity to fend off ongoing opposition from rivals over the evolution of the technology. In particular, Apple and Nokia have been feuding over the future of SIM card connector designs ever since the European Telecommunications Standards Institute agreed to set clear polices governing how its member companies license their patents related to the technology. A driving force behind the initiative, Apple back in February pledged royalty-free licensing of its own, now official nano-SIM design, if the ETSI ruled in its favor, which the organization ultimately did just a few months later. 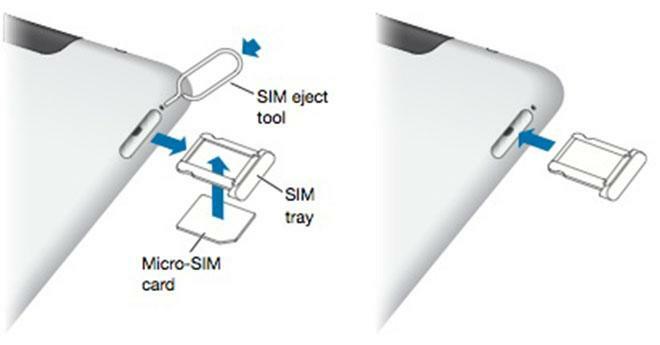 Apple's latest design win over at the United States Patent and Trademark Office on Christmas Day covers various methods of inserting and ejecting a SIM card into devices in such a manner that it protects the card and device from damage should the user insert it improperly. Apple's existing "plunger system," or SIM ejection tool, is specifically cited in the filing, but iPhones and iPads aren't the only products for which the filing covers —it can also apply to media centers, MacBooks, or larger screen displays, Apple says. The iPhone maker's victory on the heels of ETSI earlier ruling may compel Nokia and other rivals to relent in their ongoing opposition to Apple's leadership in the field and potentially withdraw dozens of their rival SIM card-related patent filings that remain pending.